Find and delete duplicates in iPhoto. Is there a better alternative to Duplicate Annihilator? Is Duplicate Annihilator really the best app in File Management category? Will Duplicate Annihilator work good on macOS 10.13.4? 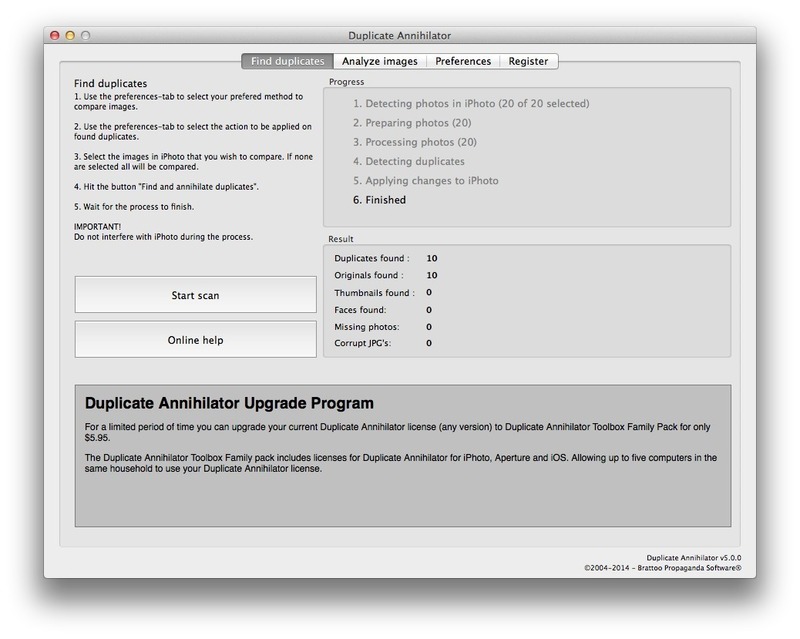 Duplicate Annihilator takes on the time-consuming task of comparing the images in your iPhoto library using effective algorithms to make sure that no duplicate escapes.